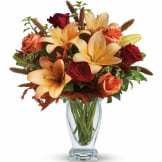 Ignite their heart with this inspirational gift of warm orange roses and lilies. As wondrous as a summer sunset - but quite a bit more fragrant! 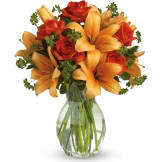 - it's a versatile choice for men and women alike. • Dark orange roses and asiatic lilies are mixed with fresh green bupleurum and variegated pittosporum. 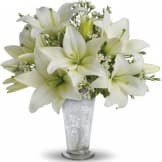 • Presented in a graceful glass reception vase. 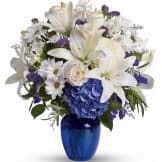 Flowers will be received by a Presley Funeral Home's staff. 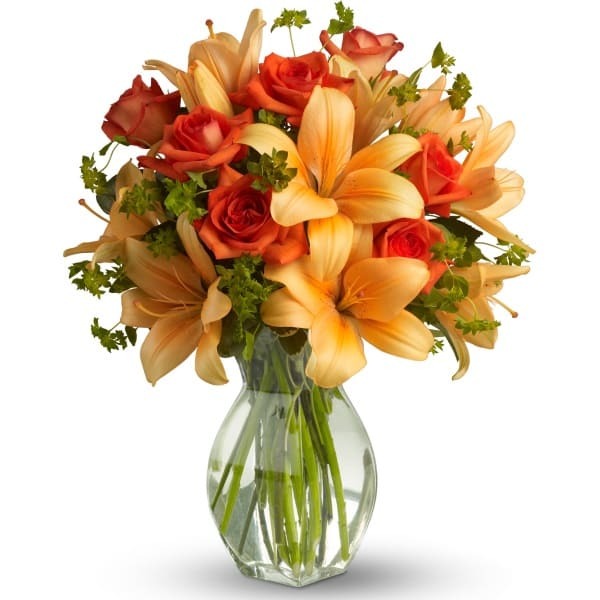 All of our flowers are designed and delivered by hand from a local florist in in Cookeville.